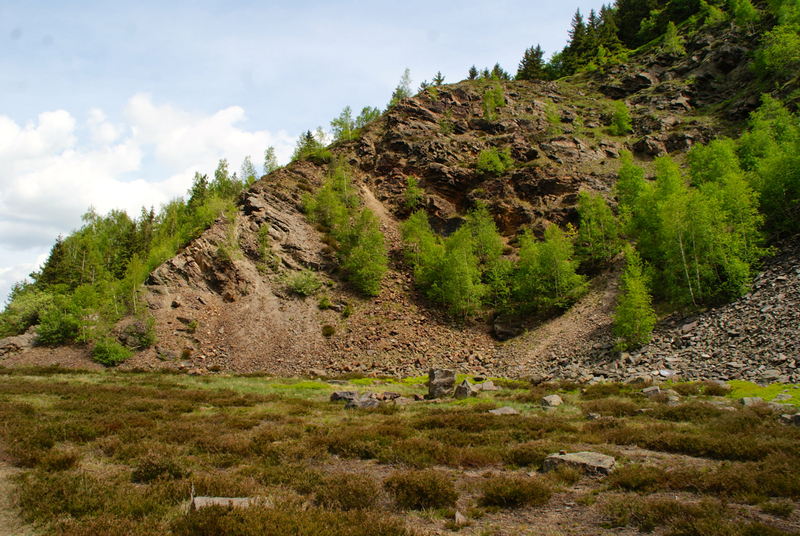 <h2>Discarded waste could be a treasure trove of rare metals </h2><br /><p>Researchers are attempting to figure out how to recover metals that are in limited supply in Europe from material that is often dumped or used in low-grade applications. They hope this metal recovery will also help to reduce the impact of industry on the environment.</p> <p>Currently<strong>, </strong><a href="https://ec.europa.eu/growth/sectors/raw-materials/industries/minerals/metallic_en" target="_blank" rel="noopener noreferrer">most metals used in Europe’s industries are imported</a>, which means supplies can be affected by instability in the countries where they are mined. They can also be subject to political decisions to restrict exports or to introduce tariffs such as those <a href="https://www.theguardian.com/us-news/2018/may/30/trump-administration-tariff-steel-aluminum-eu-trade-tension" target="_blank" rel="noopener noreferrer">imposed on steel and aluminium</a> by the US.&nbsp;</p> <p>The <a href="http://www.chromic.eu" target="_blank" rel="noopener noreferrer">CHROMIC project</a> is aiming to change this dependence by looking to recover metals from waste and by-products that are already in the EU.</p> <p>'We want to develop technologies that can help Europe to be more self-reliant for important metal resources in the future,' said Dr Liesbeth Horckmans, from the Flemish Institute for Technological Research (VITO) in Mol, Belgium, who is the project coordinator.</p> <p> <div class="quote-view quotesBlock quote_horizontal"> <div class="quotesTop"><img src="https://horizon-magazine.eu/sites/all/themes/horizon/images/quotes_top.png" alt="" title="" /></div> <p>'Our idea is to make sure that we have our own supply, or at least part of it, so we can be more self-reliant. '</p> <blockquote><p>Dr Liesbeth Horckmans, Flemish Institute for Technological Research (VITO), Belgium </p></blockquote> <div class="quotesBottom"><img src="https://horizon-magazine.eu/sites/all/themes/horizon/images/quotes_bottom.png" alt="" title="" /></div> </div> </p> <p>CHROMIC is focussing on a group of metals that are commonly used in everyday life – chromium, vanadium, molybdenum and niobium. All four metals are added to steel to make it more durable or increase its strength, but chromium is also a valuable chemical and pigment. Vanadium alloys are also ideal for making bicycle frames and gears, while niobium is used in prosthetics and pacemakers due to its hypoallergenic properties. Molybdenum is found in military armour, aircraft parts and fertilisers.</p> <p>Around 45% of chromium, however, is brought into Europe from abroad while 100% of the other three metals are imported from South Africa, Brazil, the US, China, Russia, Kazakhstan and Turkey. But each of these metals are found in significant amounts in industrial by-products that are often discarded in the EU.</p> <p>'We are focussing on steel slags (stony waste matter), stainless steel slags and ferrochrome slags,' said Dr Horckmans. At present, the team is looking at new slags being produced, although they have considered opening up old industrial landfill sites as well.</p> <p><strong>Extraction</strong></p> <p>Extracting metals from industrial residue isn’t easy though. The metals are present as fine particles that need to be separated out from the rest of the waste. Dr Horckmans and her team are developing a number of methods to remove them, including using magnetic fields to pull out metallic particles and water to dissolve the metal so it can then be recovered from the solution.</p> <p>'We are developing a new process based on a combination of novel and existing technologies where we can recover metallic particles (from some of the slags) that can be reintroduced directly into the steel process,' said Dr Horckmans.&nbsp;</p> <p>From the sources they are investigating, the team think their technologies could recover around 91,000 tonnes of these metals a year, equivalent to 5-10% of the EU's annual use. But the techniques could be applied to other types of industrial slag waste, such as incinerator ashes, to boost their quantities.&nbsp;</p> <p>In addition, Dr Horckmans and her colleagues are looking at how to repurpose the material left behind after they have extracted the metal. Metals typically make up less than 5% of the waste, so the whole process would not be sustainable if the rest is not reused as well, said Dr Horckmans.</p> <p>Metal-containing slags are already used in the construction industry as aggregates in concrete or asphalt, for example, so the remaining waste could be put to similar uses. But the material left behind after the metal is removed will be made up of finer grains, whereas the original slags are lumpy.</p> <p>The team has developed a way of making bricks from this material by shaping them into rectangular blocks and using carbon dioxide to create a reaction that cements the particles together. 'It’s one of the applications we want to test,' said Dr Horckmans.</p> <p>The project typifies a movement known as the circular economy, which aims to reuse discarded and waste materials for new purposes.</p> <p><strong>Second life</strong></p> <p>Another project with a similar goal is targeting different metals. The METGROW+ project is aiming to recover nickel, zinc and copper from sludges and residues left over from the production of metals such as stainless steel and zinc.</p> <p>They are also interested in less common metals such as indium, gallium, germanium, cobalt and chromium, some of which are used to make computers, electronics and batteries.</p> <p>'What we are trying to develop isn’t specifically for one material stream,' said project coordinator Dr Päivi Kinnunen from the VTT Technical Research Centre of Finland in Espoo. Instead, they have selected waste streams that are found across Europe, so that their results can be widely used.</p> <p>The team is developing new technologies that can be combined with existing processes to extract metals in an economically feasible way. The metal content of the waste sources is very low and several different treatments are often required to retrieve it. They are now conducting several pilots in Finland, Poland, Belgium and Spain to test the different techniques on various low-grade material sludges.</p> <p>‘We are trying to get the best combination of different technologies,’ said Dr Kinnunen.</p> <p>If the team is successful, the results could be game-changing. Europe currently imports almost 100% of its indium supply, for example, and the researchers think they could produce 80% of it from the sources they are targeting. For gallium, they should be able to extract 30% of the required supply.</p> <p>‘I think there is huge potential,’ said Dr Kinnunen.</p> <p>The leftover material, which would normally end up in landfill, will also be given a second life. So far, they are investigating if it can be used to create construction materials by turning it into a substance similar to cement.</p> <p><em>The research in this article was funded by the EU. If you liked this article, please consider sharing it on social media.</em></p> <br /> <img src=”http://www.google-analytics.com/collect?v=1&tid=UA-40077089-1&cid=discarded-waste-could-be-a-treasure-trove-of-rare-metals-&t=event&ec=republish&ea=read&el=discarded-waste-could-be-a-treasure-trove-of-rare-metals-&cs=republish&cm=republish&cn=republish&cm1=1" /> This post <a href="https://horizon-magazine.eu/article/discarded-waste-could-be-treasure-trove-rare-metals.html">Discarded waste could be a treasure trove of rare metals </a> was originally published on <a href="https://horizon-magazine.eu/">Horizon: the EU Research &amp; Innovation magazine | European Commission</a>. 'We want to develop technologies that can help Europe to be more self-reliant for important metal resources in the future,' said Dr Liesbeth Horckmans, from the Flemish Institute for Technological Research (VITO) in Mol, Belgium, who is the project coordinator. 'We are focussing on steel slags (stony waste matter), stainless steel slags and ferrochrome slags,' said Dr Horckmans. At present, the team is looking at new slags being produced, although they have considered opening up old industrial landfill sites as well. 'We are developing a new process based on a combination of novel and existing technologies where we can recover metallic particles (from some of the slags) that can be reintroduced directly into the steel process,' said Dr Horckmans. The team has developed a way of making bricks from this material by shaping them into rectangular blocks and using carbon dioxide to create a reaction that cements the particles together. 'It’s one of the applications we want to test,' said Dr Horckmans. 'What we are trying to develop isn’t specifically for one material stream,' said project coordinator Dr Päivi Kinnunen from the VTT Technical Research Centre of Finland in Espoo. Instead, they have selected waste streams that are found across Europe, so that their results can be widely used.